Some people are getting hot meals for the first time since the gas fires and explosions in Merrimack Valley. 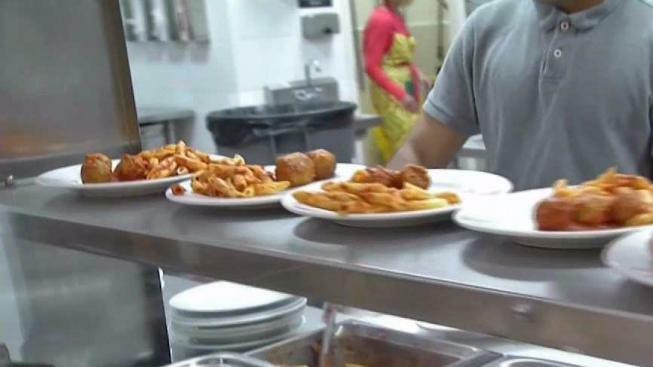 After improvising for nearly three weeks, the dining hall at the Cor Unum meal center in Lawrence, Massachusetts, is back open and serving warm meals for the first time since the gas fires and explosions rocked the Merrimack Valley. The center has been operating for 12 years and never closed after the disaster. However, with no gas service, they were forced to give out cold meals, instead of serving warm meals inside their South Lawrence dining hall. Columbia Gas recognized Cor Unum's value to the community and made it a priority to convert their appliances to propane. The company also funded the conversion. Lawrence city officials and leaders of the Catholic community gathered to announce the re-opening before the first hot meal service Tuesday. Cor Unum runs in partnership with St. Patrick's Church and Cardinal Sean O'Malley was in attendance, praising their efforts. "Of the many anxieties people in Lawrence are experiencing during this process, the anxiety of not being able to find a hot meal is now over," Cardinal O'Malley said. The center runs solely on volunteers, many of whom spent the day preparing the pasta with meat sauce they served for dinner Tuesday. One volunteer, Rick Simard of Andover, said he also plans to eat the meal because he is still waiting for gas to come back on at home. "It's going to be overwhelming, not just for us, but for them too," Simard said. "We're busy when Lawrence does have gas, so we'll probably have quadruple." A half hour before dinner service ended Tuesday night, volunteers said they had fed more than 275 people. They expected to break 300 by the time dinner was over. The center serves two meals daily and all are welcome. Breakfast is from 6 a.m to 8 a.m. and dinner is from 4:30 p.m. to 6:30 p.m. They said they do not need any more food donations, but can always use financial support and more volunteers.